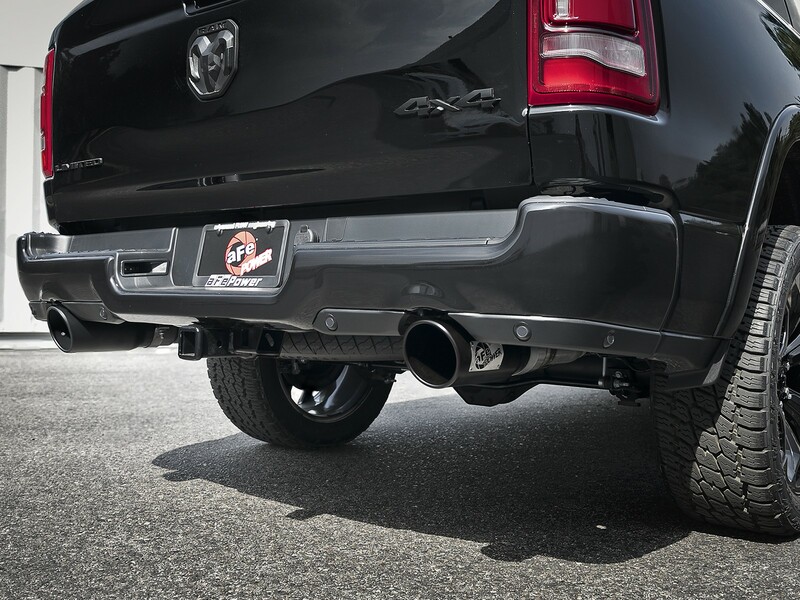 Now your 2019 Dodge RAM 5.7 HEMI can perform and sound as good as it looks with this MACH Force Xp cat-back exhaust system. 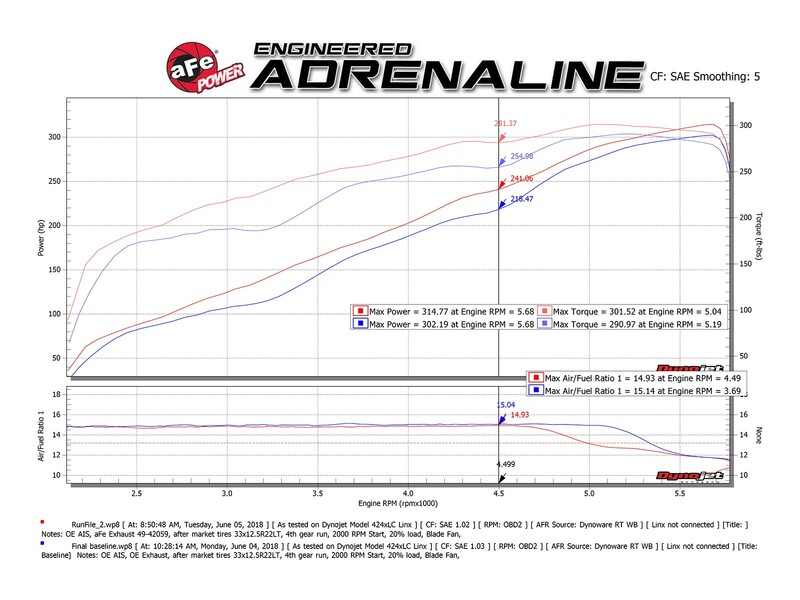 In-house dyno testing produced gains of up to +22 horsepower and +26 lbs. 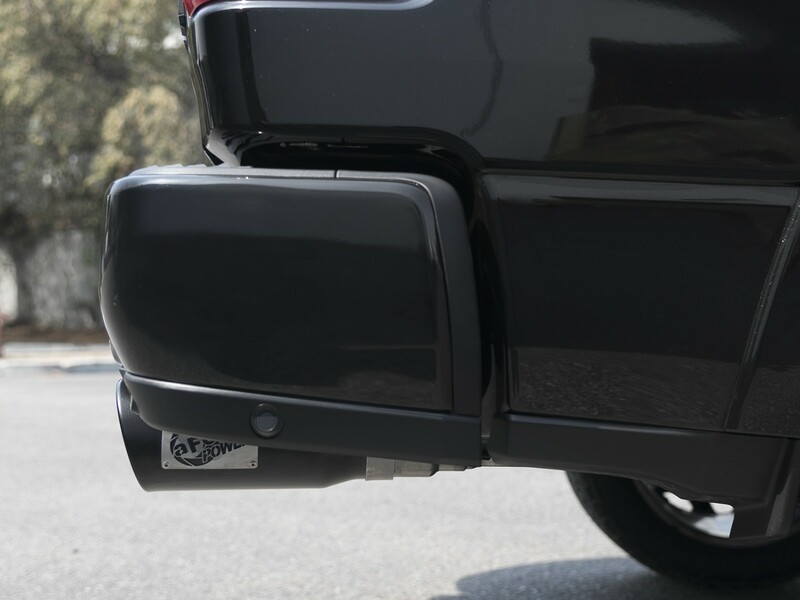 x ft. torque for towing, track and street performance. 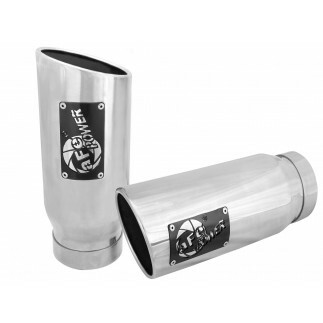 3" mandrel-bent, 409 stainless steel tubing and high-flow muffler improve performance across the power band and delivers a deep, aggressive exhaust tone. 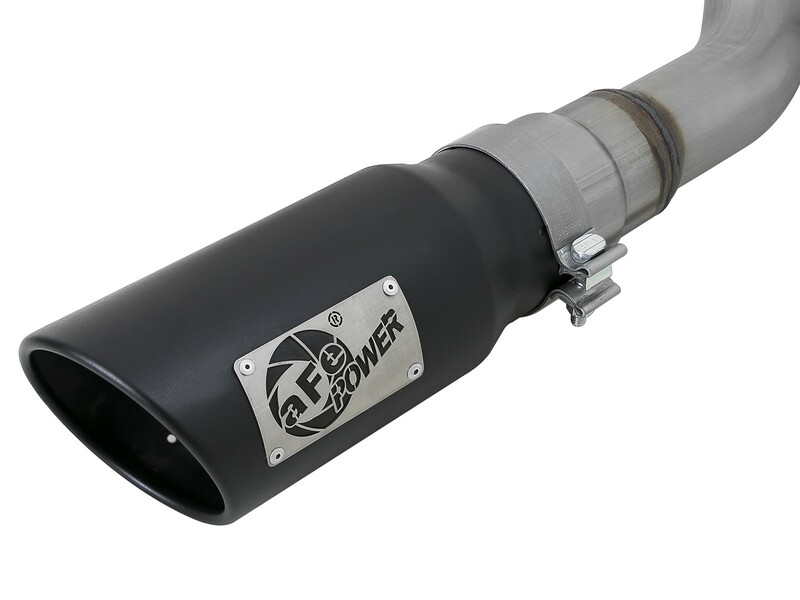 100% MIG-welded for strength and durability and long lasting, good looks, this system is finished with dual, 5" black stainless steel tips with aFe POWER badging for a unique, custom appearance. 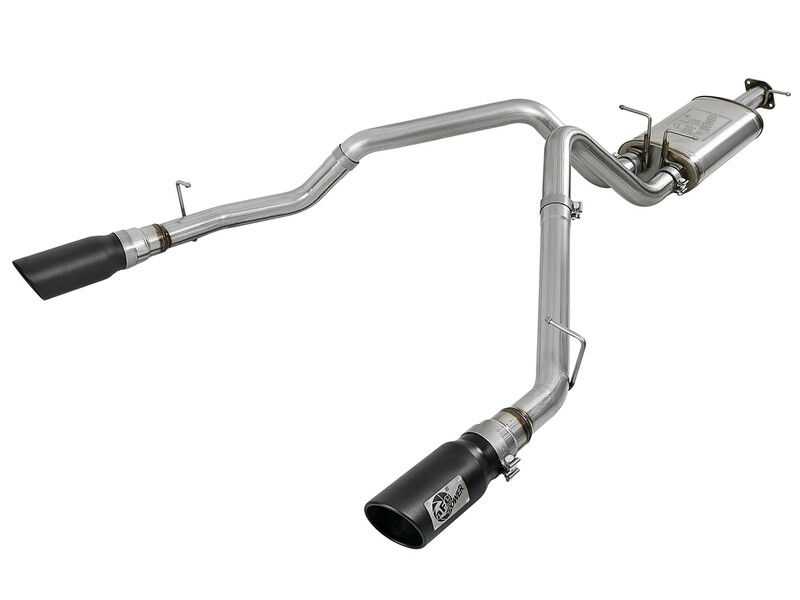 In testing, the cat-back exhaust system resulted in gains up to +22 horsepower and +26 lbs. 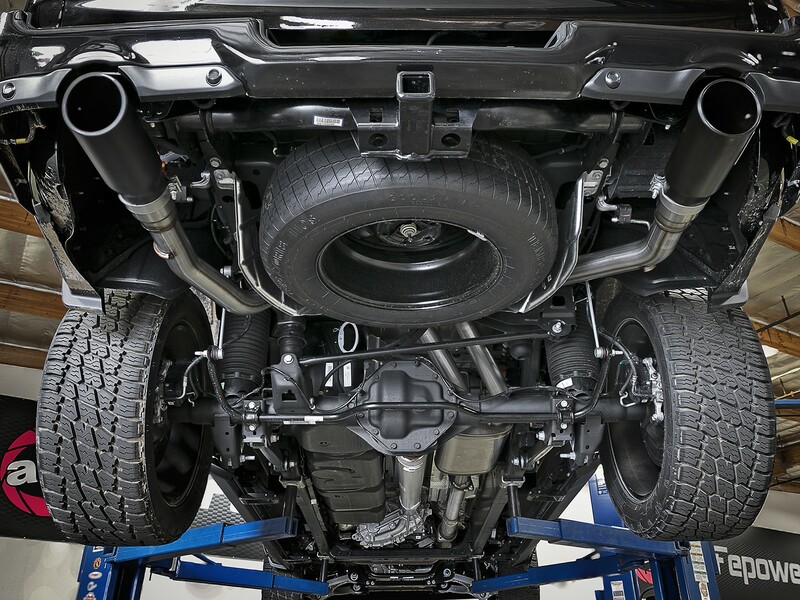 x ft. of torque, as measured on our in-house dyno. 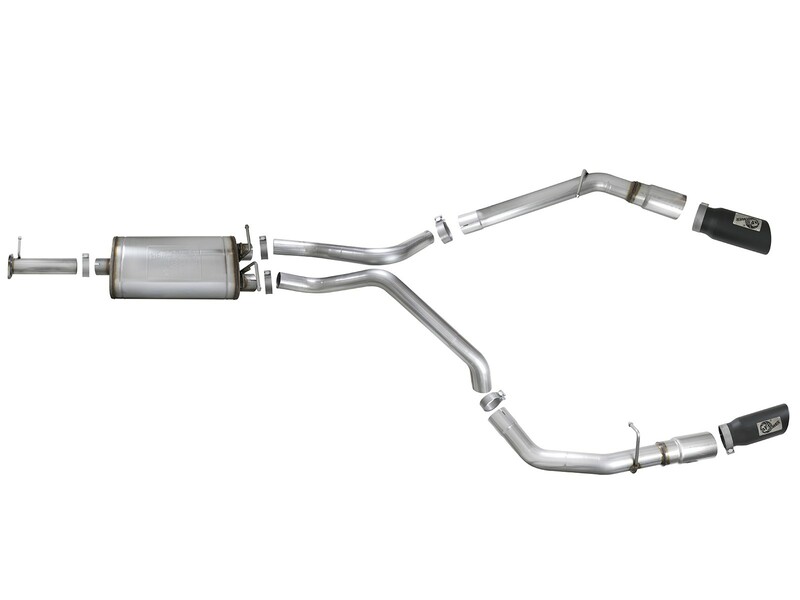 This system is constructed of durable mandrel-bent 3" 409 stainless steel tubing for maximum air flow and low turbulence; increasing torque, horsepower and improved throttle response. 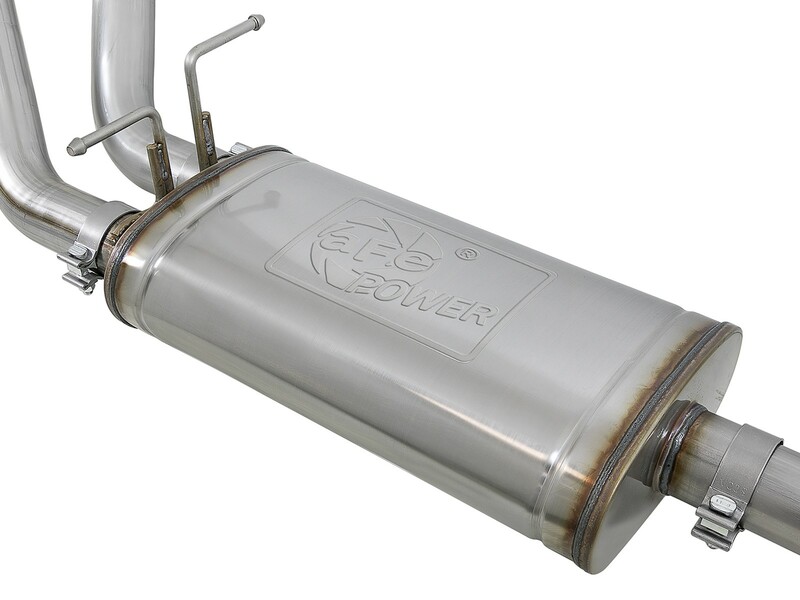 A single, high-flow 409 stainless steel muffler allows increased exhaust flow and eliminate exhaust drone, maintaining a deep, tuned sound. 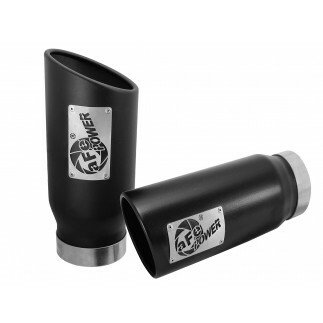 Dual, rear-exit 5" diameter, angle cut, black stainless steel exhaust tips with an aFe POWER logo badge welded on for a custom look. Factory-style bayonet hangers are used to maintain a stable pipe location during high vibration and high heat conditions for a secure fit. 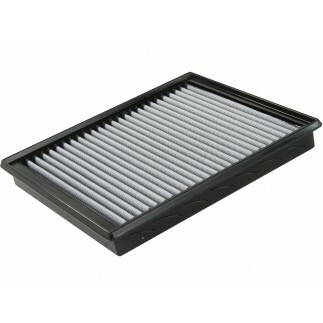 No cutting or modifications required. Quality hardware and clamps are included for a hassle-free installation.